When is a Chestnut not a Chestnut? 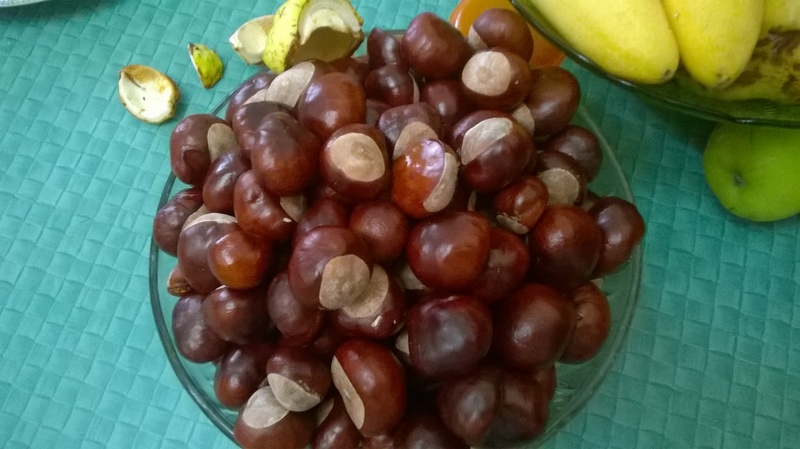 Well, I have been looking into the Chestnuts that I have collected. After some research, it appears that I may not have collected Chestnuts. It appears that I may have collected Buckeye nuts. I have done some investigation into whether these can be eaten. Different information is available on this. Many sources state that they were poisonous, others state that the Native Americans have eaten these after cooking. Some sites mention that I can simply roast the Buckeye Nuts and they are edible… others state that they need to be left to soak in running water for up to 18 hours to have the toxins leached. I don’t know what I am going to do with the 5 kilos I have collected. I might try eating a roasted one and see how I feel afterwards. Almonds contain Cyanide, unless they are prepared properly (such as blanching, roasting, steaming, or other methods). This may only relate to wild varieties, or to the bitter variety. Cashews contain various chemicals, one of which acts like Poison Ivy. The toxin can be removed by roasting the nut. This reminds me of something I have been thinking about… the toxicity of the natural world and how removed we are from the knowledge. This is knowledge that our ancestors would have known and taught to their children, that certain plants are poisonous. Take for example the tomato. The fruit of the tomato is delicious and nutritious, adding flavour and colour to our dishes. It is versatile and can be used in so many different ways. Yet… we are told that the leaves are poisonous, that they can not be consumed. Yet is this true? I have recently read some articles that state that the toxicity level of Tomato leaves is grossly exaggerated. That the leaves can be used in tea and in cooking. Potato leaves and stems are also apparently poisonous, especially the Seed pods that grow on potatoes (which look like green tomatoes). 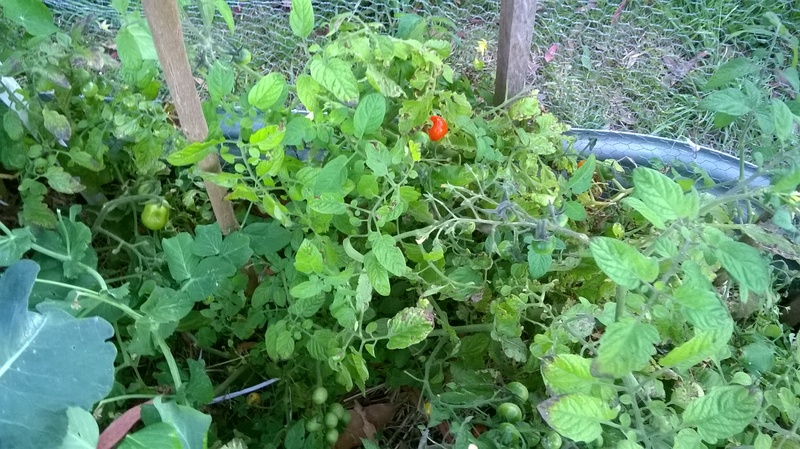 I did not know this when I started growing Potatoes so when the Potato seed pods appeared on my plants, I thought that I may have accidentally grown tomatoes. 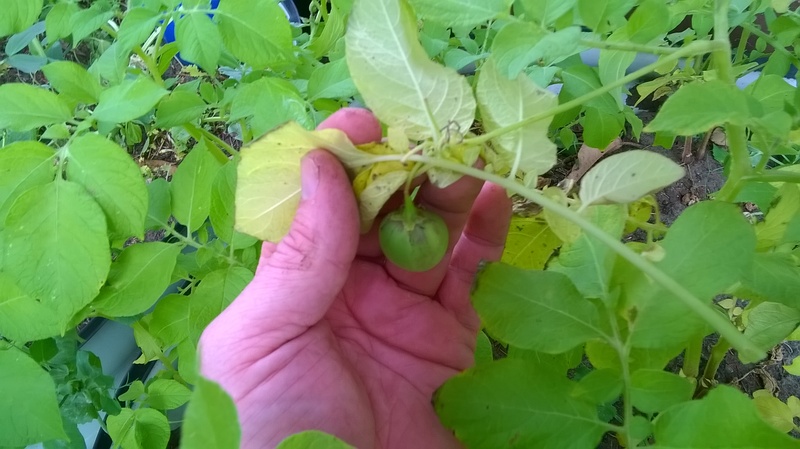 I kept a close eye on the weird green tomatoes for a few weeks, yet eventually curiosity got the better of me. I removed one and cut it open so that I could examine the inside. It appeared similar to a tomato, yet it was much more dense. I decided to look them up and I found a few websites that explained that these Potato seed pods were deadly and not to eat them. Good enough for me. It is said that Rhubarb leaves are also deadly. The stalks are the part you eat yet the leaves contain Oxalic Acid, that can easily damage your kidney. I haven’t eaten any, so I am unable to prove or deny this. Often, when I grow and harvest plants, I wonder whether I can eat some parts of the plant or whether it is poisonous. Most of the time I decide it is not worth the risk, that I don’t need to try it… yet sometimes I do take a chance. The time I ate Turnips cooked with the Turnip Greens is a great example of this. I discovered a very tasty dish that is easily grown and made. I am not saying “eat everything”, yet perhaps I am recommending that you shouldn’t believe everything you read.